How to Easily Record from your iPhone Screen or Any App Using Apple Yosemite 10.10. Apple Yosemite has been released free to the public and it’s quite apparent that the new Mac OS 10.10 is becoming more and more like the iOS 8 operating system. One great feature of Yosemite is the ability to plug in your iPhone to your Mac and record the audio and/or video from your iPhone or iPad. Prior to Yosemite, this was only possible using 3rd party apps that were quite glitchy and would crash continually while right in the middle of recording. Recording your iPhone or iPad screen or any app is most beneficial to mobile application development companies because they can easily record footage of their apps for inclusion in the new App Store Video Previews. Recording your screen also benefits anyone who wants to simply get quick footage straight from his iOS device. A gamer may want to show himself playing his favorite iOS game or a social media user may want to show video of scrolling text message or Twitter timeline. The possibilities for what you can record directly from your iPhone screen are endless. Make sure you have Yosemite 10.10 installed on your computer. 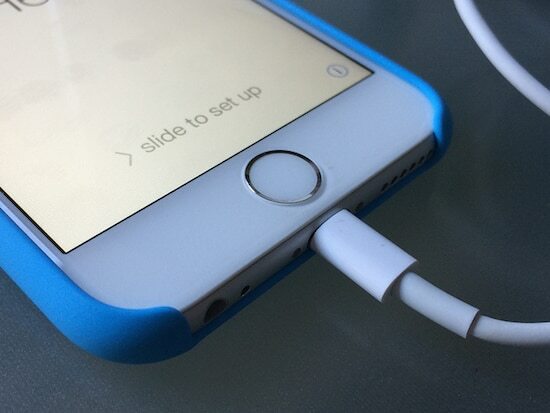 Plug your device directly into your computer’s USB port using your USB iPhone or iPad cord. You should now see a screen pop-up. It usually defaults to using your built in Mac camera to record. Click the little “v” arrow just to the right of the red record button in the bottom, middle portion of your screen. Do the same thing for sound by choosing your audio source under “Microphone”. You can choose the audio on your device or you can choose your built-in-microphone if you want to record your commentary along with the captured iPhone screen video. Pretty handy tool. You should now see your iPhone screen in the Quicktime window. You can pick “High” or “Maximum” Video quality from the drop-down menu as well. Now simply hit the record button and use your iPhone and everything you do will be recorded. Hit the record button again to stop recording. Click the top nav bar in video to name it and move it to any location on your computer. You can also hit play to watch what you just recorded. If you are ambitious, you can create a bunch of videos and then edit them in iMovie or Final Cut X. Please let us know if this worked for you. Happy recording! The Quicktime recording itself is near real-time, but there is some noticeable lag between performing an action on my iPhone and seeing the action occur in the QuickTime window. Any thoughts on what else I could check to fix this? I used to record my iPhone screen with Acethinker iPhone screen recorder, never had that problem.